Feeding Your Demons: Ancient Wisdom for Resolving Inner Conflict by Tsultrim Allione. Please mail this enrolment form to taramandalanederland@gmail.com to confirm your participation in the Kapala 1 retreat. Time details: This retreat begins with registration from 4.30 pm to 6pm on the first day and ends after lunch on the last day. How to get there: Bosoord can be reached by public transport. From Schiphol airport it is easy and fast to take the train to Apeldoorn and continue by bus or taxi. Coming from Germany take the train to Arnhem and continue by bus or taxi. More information. Dorje Lopön Chandra Easton is a teacher and translator of Tibetan Buddhism. 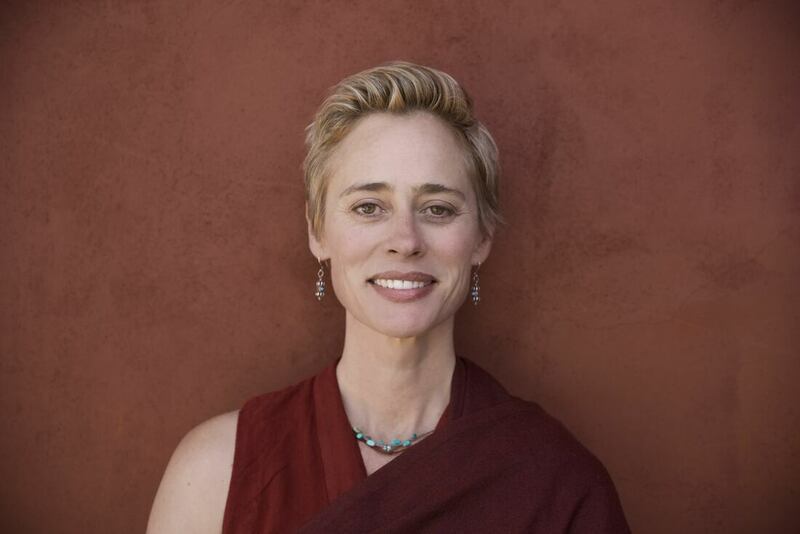 She is the Assistant Spiritual Director and Lead Authorized Teacher for Tara Mandala Retreat Center in Colorado, US, founded by Lama Tsultrim Allione. She has taught Buddhism and Yoga since 2001 and co-translated Sublime Dharma: A Compilation of Two Texts on the Great Perfection, published in 2012. ​She is currently on the Tara Mandala Board of Directors and the Tara Mandala Bay Area coordinating committee, through which she teaches and organizes events in the San Francisco Bay Area, CA. Visit www.shunyatayoga.com and www.taramandalasf.org.